Keto Breakfast Muffin Recipe, Cheese, Bacon & Gluten Free! This Keto Breakfast Muffin Recipe with cheese and bacon is also gluten-free. They’re a great breakfast, lunch or snack food. Easy to make and take less than 30 minutes from start to finished product. 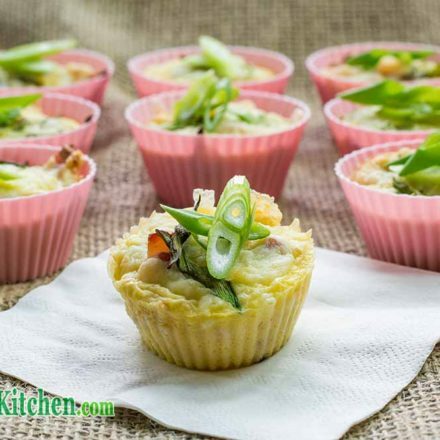 Egg Muffins are notorious for sticking to muffin tins, even a well greased tin is no match for the glue-like cooked egg! We recommend investing in some silicone cupcake cups, they hold their shape and peel off without any residue left behind – they will change your baking life. 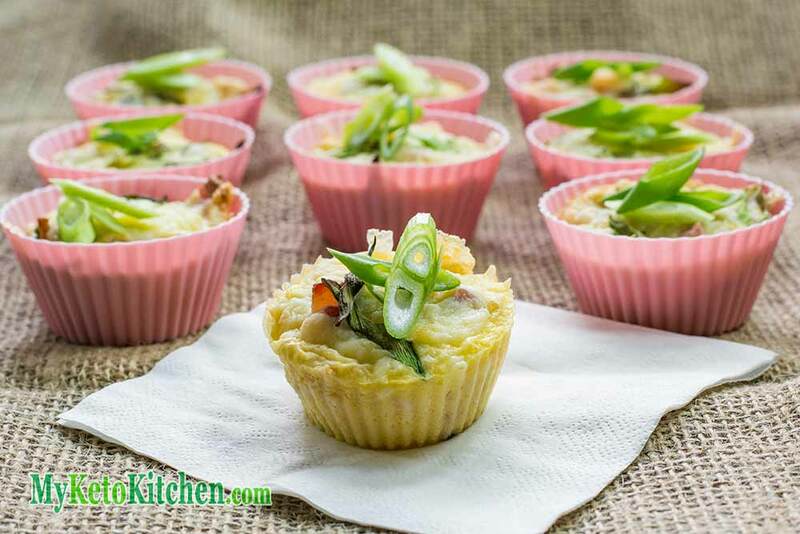 Breakfast foods for the Ketogenic Diet are highly requested, if you’ve stumbled upon this one and want more, check out our Sausage and Egg Mushrooms, Spanish Baked Eggs, or Bacon and Sour Cream Muffins. While the bacon is cooling, crack the eggs into a bowl with the salt and pepper and use a stick blender to mix well. Using a blender helps to break down the egg and make it easier to pour and, without the extra air added by whisking the muffins don’t become overly airy. To make a larger batch of this keto breakfast muffin recipe adjust the servings above.